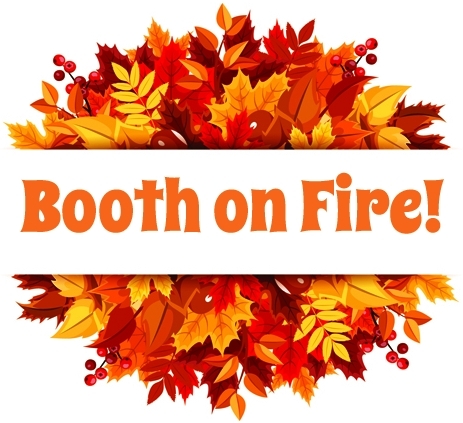 Booth on Fire – A Lion Has Roared! 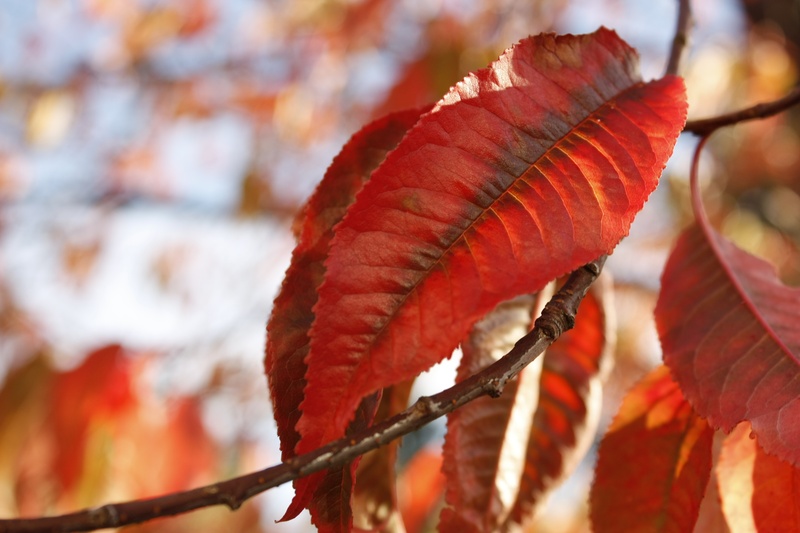 Use gorgeous fall-colored leaves when decorating your booth for the Feast of Tabernacles. Remembrance of the Israelites’ journey through the wilderness when they lived in temporary housing on their way to the promised land. God’s shelter and providence for them as He provided shade and light, water and manna, protection and direction. We too are living in temporary housing on our way to a promised land. We should never feel too established here and forget that this world of sin is not our final home. Rehearsals for building makeshift shelters as the end-time people flee from the wicked. The temporary housing the Israelites lived in when they went up to Jerusalem to keep the Feasts each year. We will be visitors, in a foreign land and again dwelling in temporary housing, when we live in Heaven for 1000 years before we come home to the Earth-made-new. And someday our little planet will be host to visitors from all over the universe as they come to worship before the Lord who has made our world His dwelling place! But the most profound symbol of the booth is its reference to the Tabernacle of the Lord. He also lived in temporary housing when He dwelt with us on earth. Jesus was Immanuel, or “God With Us,” for the short time He was on earth. Before that, in the wilderness, when the Children of Israel were led by the Pillar of Cloud and the Pillar of Fire, the linen tabernacle glowed at night as if it were on fire because of Jehovah’s presence within. The Tabernacle of the Lord here on earth was a model to teach us about the way the Lord is getting rid of sin. Whether it was the flimsy linen shelter, the magnificent temple of Solomon or the “temple made without hands” in the Heavenly realm (Acts 7:48; Isaiah 66:1; Hebrews 9:1), the temple represents God’s solution to the problem of sin. He seated Himself in the middle of the Tabernacle on a throne named “Mercy,” with His Law at His feet, and invited us to bring our problems to Him to solve. Within His presence we can find love, forgiveness, cleansing, healing and shelter from a sinful world that surrounds us. With this mercy comes the extreme joy in knowing that we are loved, safe, wanted and free from guilt. The verse says, “The fruit of beautiful trees.” The word “fruit” means “produce” and can mean “fruit,” “boughs,” “berries” or whatever lovely things the tree produces. The word translated here in the New King James Version as “beautiful,” and in the King James Version as “goodly,” is the Hebrew word hadar. According to the Strong’s definition, this word connotes “magnificence, that is, ornament or splendor.” And there is hardly anything more ornamental or full of splendor than the magnificent red, burgundy, fuscia, gold, chartreuse and lime green colors on fall branches! And if you have a branch after the harvest that still has fruit on it, why not include one of those too? This comes back to the symbolism of the Sanctuary. Within, in the presence of God, you shall find joy. No matter how you come to the Feast, exhausted, harried, burdened (or skeptical maybe? 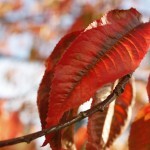 ), the bright colors and reminders of God’s goodness should cheer your heart once you begin to celebrate! Let us Go up and Rejoice!